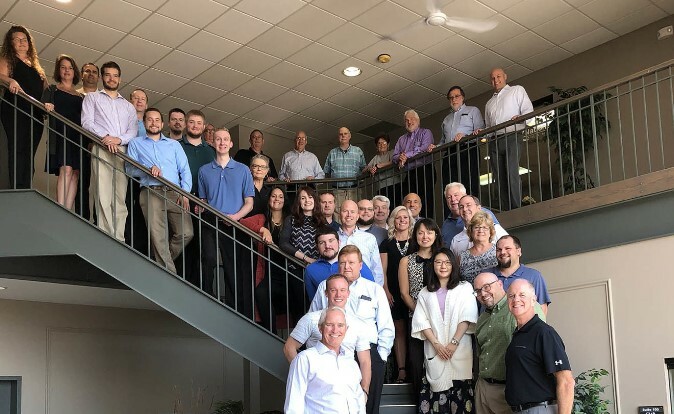 McKim & Creed, Inc., one of the largest engineering, geomatics (surveying) and planning firms headquartered in the Southeast, announced today that it has acquired Pittsburgh-based Loftus Engineers, LLC. Going forward, Loftus Engineers will provide service to clients as Loftus Engineers, a McKim & Creed Company. "Loftus Engineers has a long and distinguished history of providing outstanding mechanical, electrical, plumbing and structural engineering with exceptional employees who, like our current employee owners, are dedicated to the success of their clients and solving their challenges," said John T. Lucey, PE, president and chief executive officer of McKim & Creed. "Combining McKim & Creed's strengths with those of Loftus enables us to offer more of our services in the Pittsburgh area, and supports our current and growing Pittsburgh office. We are excited to significantly grow our engineering business in the dynamic Western Pennsylvania market." Loftus CEO Patrick Branch, PE, LEED AP, will oversee the company's Pittsburgh-area MEPS engineering services. "By joining forces with McKim & Creed, we believe we can best serve the growing Pittsburgh market with expanded services. In addition, McKim & Creed is an employee-owned company, which means that our employees can own a part of our organization while enjoying enhanced career opportunities," said Mr. Branch. Founded in 1923, Loftus Engineers represents one of Pittsburgh's oldest consulting engineering firms. Its recent merger with Branch Engineers established the firm as a leading MEPS engineering firm in the Pittsburgh market. Today, Loftus continues the legacy and quest for innovation and excellence in an integrated engineering design practice, while maintaining a reputation that remains true to our core values of professionalism, corporate and personal integrity, and respect for their clients and their needs.